(2007) UMBRELLA ACADEMY APOCALYPSE SUITE #1! 1ST PRINT! CGC 9.6! WP! (2007) UMBRELLA ACADEMY APOCALYPSE SUITE #1! 1ST PRINT! CGC 9.2! WP! The Umbrella Academy 1-6 Apocalypse Suite Dallas 1-6 NM HIGH GRADE Netflix HTF! (2007) THE UMBRELLA ACADEMY APOCALYPSE SUITE #2! 1st Print! Gerard Way! 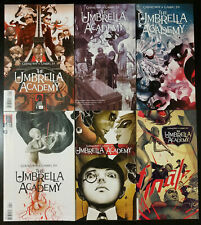 (2007) THE UMBRELLA ACADEMY APOCALYPSE SUITE #3! 1st Print! Gerard Way! 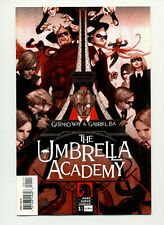 The Umbrella Academy Apocalypse Suite #1 NM 9.4 Sep 2007, Dark Horse New! 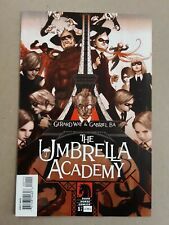 The Umbrella Academy: Apocalypse Suite #1 lot🔥fcbd signed Gerard Way🔥ALL NM! !